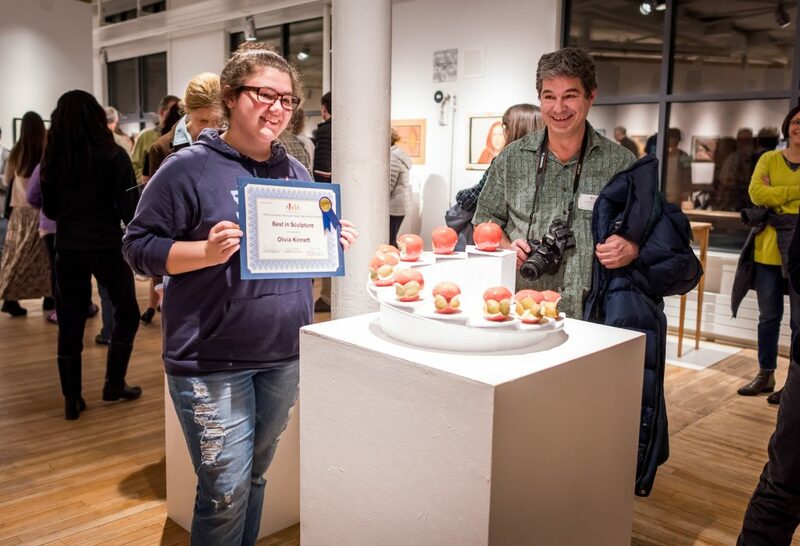 Olivia Kinnett, Grade 12, received the “Best in Sculpture Award” in AVA Gallery’s 10th Annual Best of the Upper Valley High School Exhibition. AVA has rescheduled and reorganized a Portfolio Review and Art Career Awareness Day for Saturday, March 24 from 10am-1pm. High school students, teachers, guidance counselors and parents are invited to discuss student work and art career opportunities. Currently scheduled to participate are professional AVA artists and art instructors, recent MFA graduates, as well as representatives from The Center for Cartoon Studies and Tiltfactor at Dartmouth College. Students should bring recent work, sketchbooks, and a willingness to explore the possibilities!